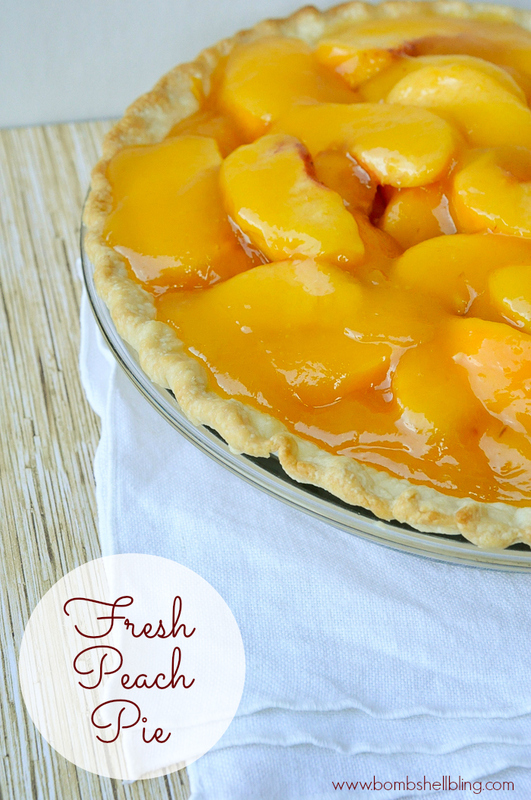 This fresh peach pie recipe is simple and sure to impress. 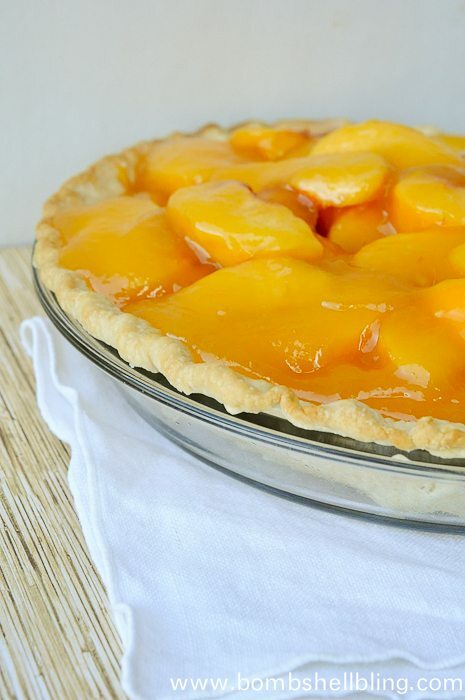 Make it during the summer with ripe, flavorful peaches for an amazing dessert! Today is a wonderful day, my friends. 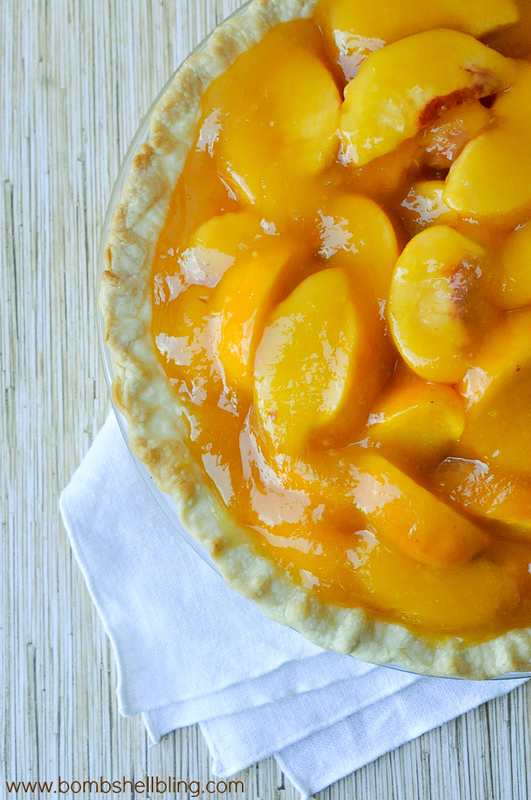 Today is the day that I share with you my mama’s AMAZING fresh peach pie recipe. My mom didn’t cook or bake much, but when she did she did it well! Her friends knew her mainly for her fresh peach pie and her pumpkin bread. Mmmm….I adore them both! 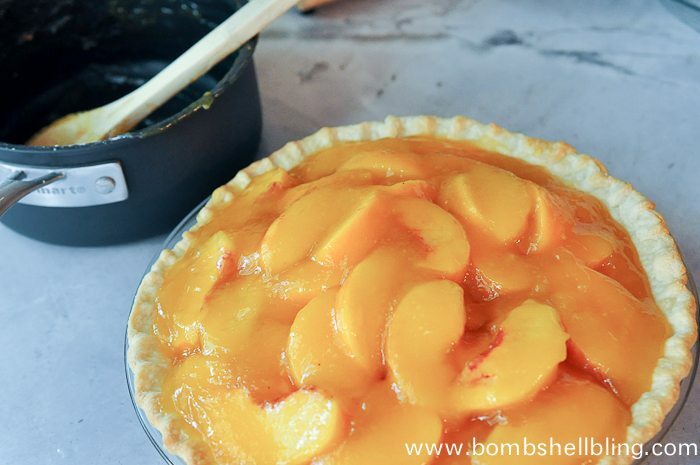 I love this recipe for many reasons, including nostalgia, but one of the main ones is that the peaches are FRESH, as in NOT BAKED. I love that they stay more firm that way. I’m going to take you through the steps, and then I will have all of the specific measurements below. Let’s start with the crust. People always complimented my mom on it. Always. And guess what?? It’s a roll out Pillsbury pie crust from the refrigerated section of the grocery store! True story. I use it for all of my pies. Be sure to get the name brand kind, though! It’s the best by far. 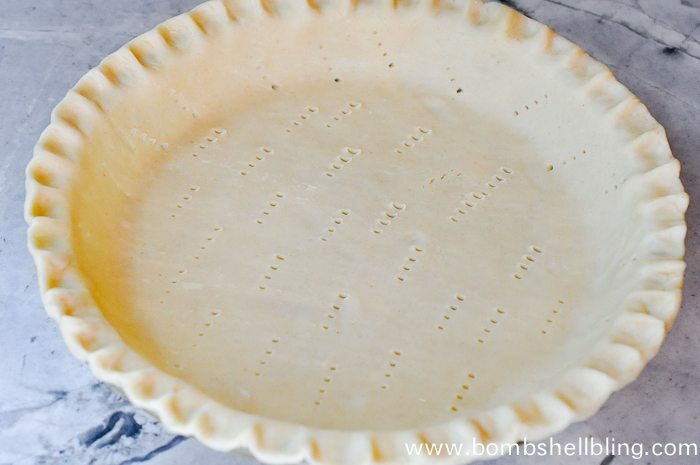 However, if you really want a homemade crust, try this easy foolproof pie crust recipe. 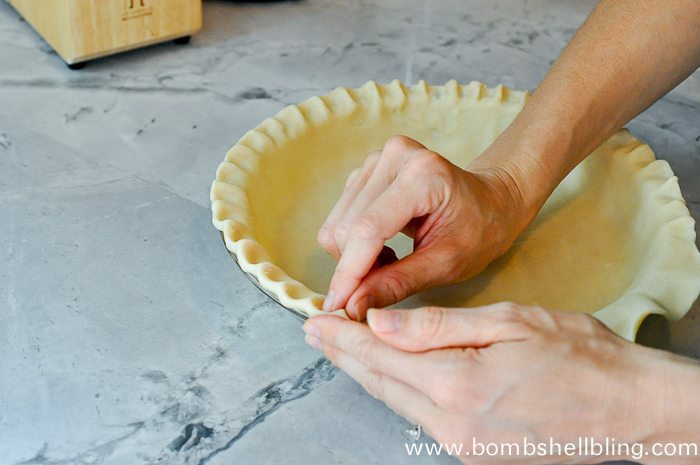 Follow the directions on the box by allowing the crust to warm up a bit, and then roll it out into a pie dish. If you want to you can use your fingers to pinch around the edges (shown below) to make a pretty edge. Poke the crust with a fork and follow baking directions. Allow the mixture to cool (at least most of the way) and pour it over the peaches. 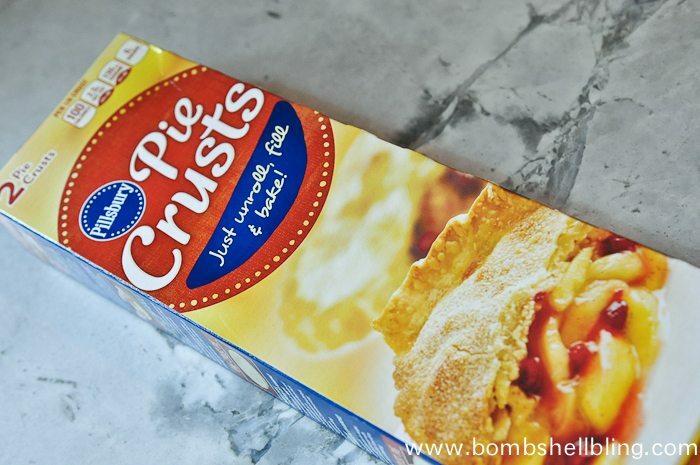 Prepare and cook the pie crust following the directions on the box. Cool crust. Use a blender to mash 2-3 peaches. Do one peach at a time until you reach 1 cup of mashed peach. This way you don't waste precious peaches. 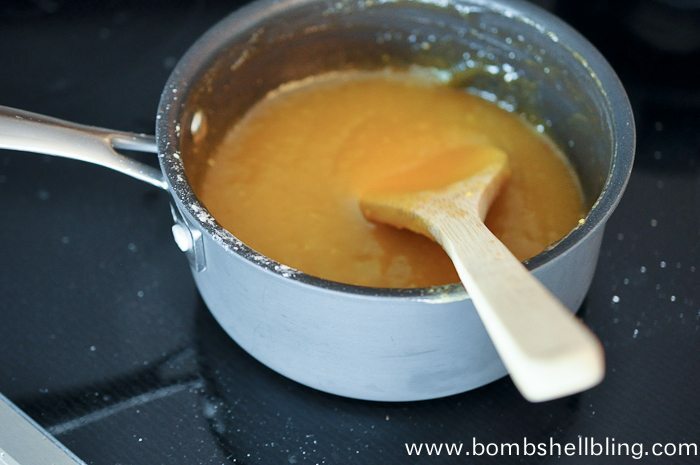 Combine the mashed peaches, sugar, cornstarch, and water in a saucepan. Stir over medium high heat until the mixture thickens (about 3-5 minutes usually, but possibly longer - allow it to get pretty thick). As the glaze cools, remove the skins from 5-6 peaches by blanching them. Slice them straight into the pie crust. Pour the glaze over the peaches and top with vanilla ice cream to enjoy. Here’s one that isn’t my mama’s, but it IS my FAVORITE way to use peaches. My dad and I are in a constant argument about what is better: cobbler or pie. Let’s face it: it’s a toss-up! They’re both amazing! I love peach pie! And it’s the best time right now with Palisade Peaches! Perfect fall dessert recipe! Thank you for sharing! Dumb question… Does this require refrigeration for leftover pie? Made your recipe last year 2017 and loved it!! Simple to make and keeps the peaches in tack. The peach glaze is so much better than others. My family loved it too, so now I will be making it every summer!